Leonard Lamsen, MD, Assistant Professor and Program Director of the Emergency Medicine Fellowship, will be the first fellow in the Medical Education and Simulation Fellowship Program offered through the University of Tennessee Center for Advanced Medical Simulation, which is one of 10 fellowship programs to be accredited by the American College of Surgeons. The fellowship is offered through the UT Graduate School of Medicine in conjunction with the UT College of Education, Health and Human Sciences and offers practicing physicians a master's degree in Education. Dr. Lamsen will begin July 1. The new fellowship focuses on education and learning theory. Its goal is to provide faculty physicians with specific skills to educate adult learners at all levels. That includes their patients, students, other physicians and colleagues in the hospital. The program is directed by Nicole Kissane-Lee, MD, EdM, FACS, Assistant Medical Director in the UT Center for Advanced Medical Simulation. Dr. Kissane-Lee completed a similar fellowship at Harvard. She joined UT's simulation center in July 2016 to start an education-based fellowship. "This new fellowship will be one of 10 in the country to be accredited by the American College of Surgeons. The organization is considered the most rigorous accrediting agency for a simulation fellowship," Dr. Kissane-Lee said. Dr. Kissane-Lee said it's important that the fellow continue in clinical practice during the two-year program. "We don't want to remove physicians from their clinical environment for two years. During a five-day week, one day will be spent in clinical practice, two days will be spent in our medical simulation center, and two days will focus on the master's in education curriculum." The fellowship targets physicians who practice at the medical center. Ultimately, the goal is to improve the level of care physicians can provide. Dr. Kissane-Lee said that in her own experience, patients see the EdM after her name, and they are excited when she explains that she has a master's degree in adult education plus her physician training as a surgeon. 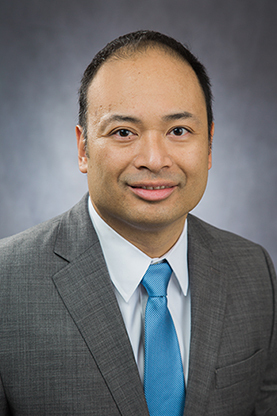 In addition to educator, Kissane-Lee is a minimally invasive and bariatric surgeon. She maintains a thriving clinical practice within University Surgeons at the medical center. She specializes in advanced laparoscopic and minimally invasive surgeries. She spends about 40 percent of her time in the medical simulation center focusing on education. She said, "I always liked surgery. My mom is an artist, and surgery felt like art to me. I saw it as the ability to make a difference and immediate change using my hands in the operating room. "I think my passion for education also came from my mom," said Dr. Kissane-Lee. "She was an art teacher, and working with students and residents during my fellowship at Mass General Hospital in Boston came naturally to me. Then, I learned I could get a master's in education with expertise in medical simulation through a fellowship at Brigham and Women's Hospital through Harvard Medical School. That seemed like a good fit for me that would provide a unique skill set." Medical simulation is the imitation of real-life experience in the health care setting. Medical simulation mainly uses virtual reality technology and life-like mannequins to practice advanced procedures. But simulation is also a way to develop team-building skills and practice communication, making simulation centers ideal for this type of fellowship. Dr. Kissane-Lee said she is excited to initiate this fellowship through a simulation center recognized nationally not only for its state of the art equipment but also for its faculty. That includes Co-Directors Leonard Hines, MD, and Paul Huffstutter, MD, and Administrative Director Melinda Klar, RN, and Lab Coordinator and Skills Coach Judy Roark. They are seen as innovators and leaders in simulation nationally.